On Wednesday (our last full day in Italy), we left early to hit the road for the 2hr drive to Siena from Camp Darby. We got into Siena around 1030, found the parking garage, and then started walking to the center of town. 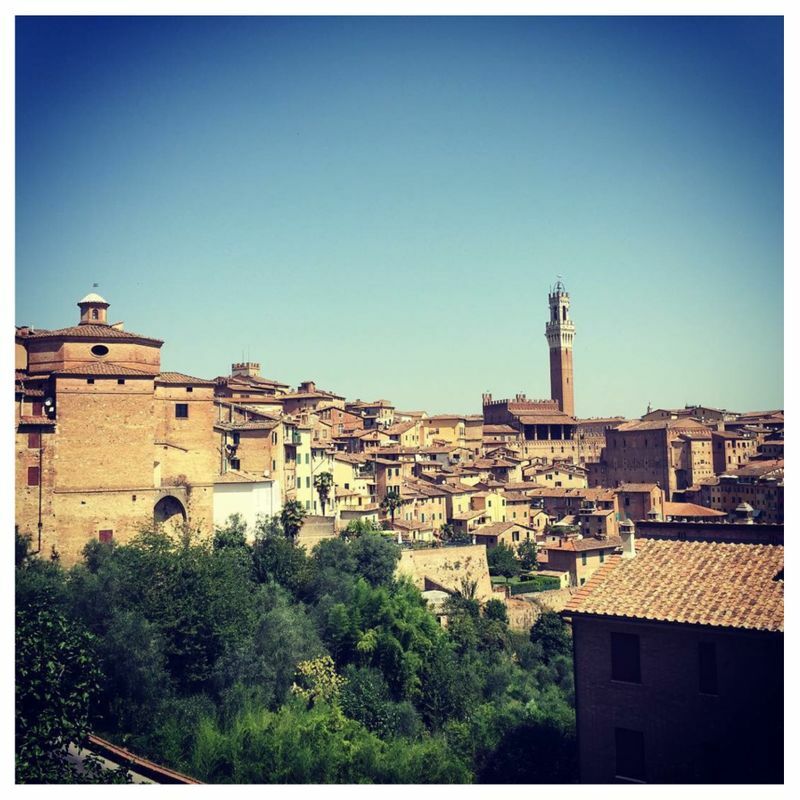 The first thing you notice about Siena is that it is very hilly compared to other Italian citiies. It was also extremely hot, and the combination of walking up and down hills in the heat got to us quick. 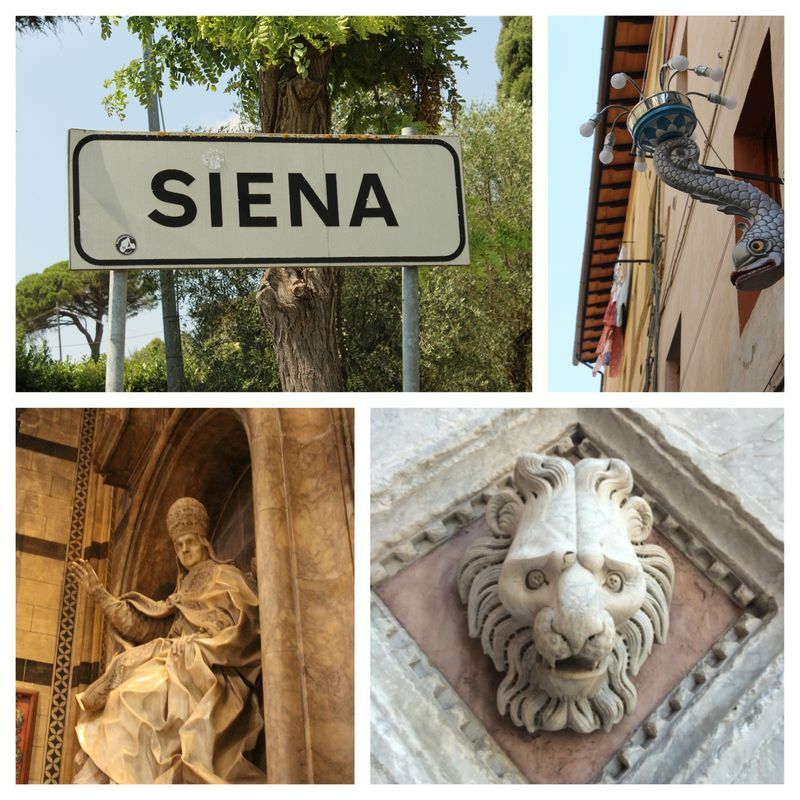 I had read a little about it, but it was very cool to see all of the symbology in Siena. Each neighbourhood has its own mascot/emblem. The flags and statues are everywhere in the city - it’s a cool thing that sets it apart from others we have visited. We made it to the Piazza del Campo, and stood in the middle of the square where they hold the medieval “Palio" horse races each year. It struck me as a very small place to have such a big event! The square was cool, and it was ringed with restaurants and taverns, which were buzzing with tourists by the time we arrived. 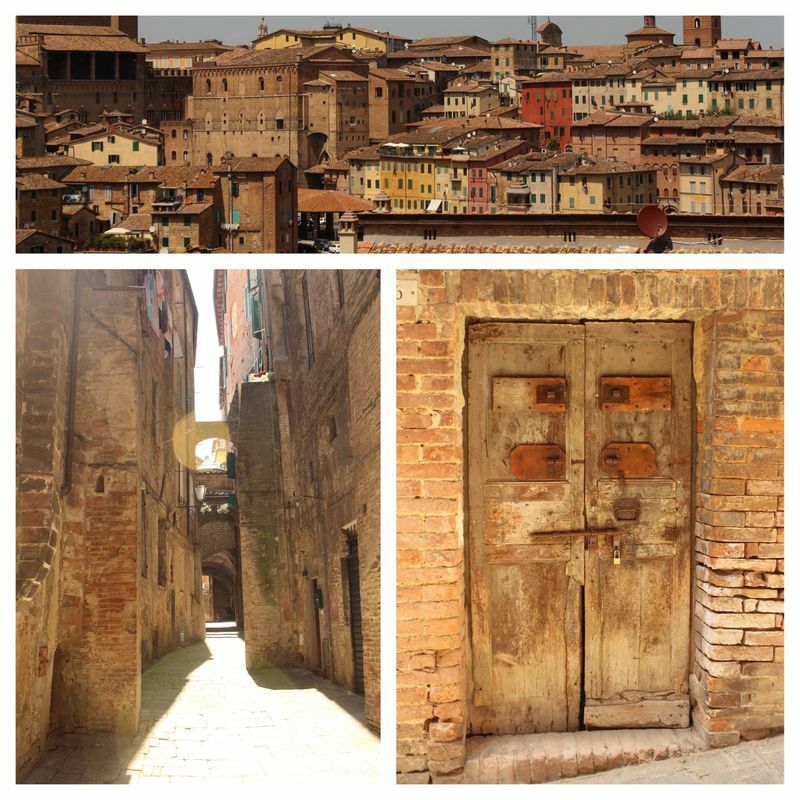 We made our way across the Piazza through a few small alley ways to the Duomo of Siena. We bought tickets and got in line. Once inside, I was blown away by the amazing frescos and tile work that completely lines the floors, walls and ceiling of the Duomo. In my opinion, it was more interesting than the one in Florence. 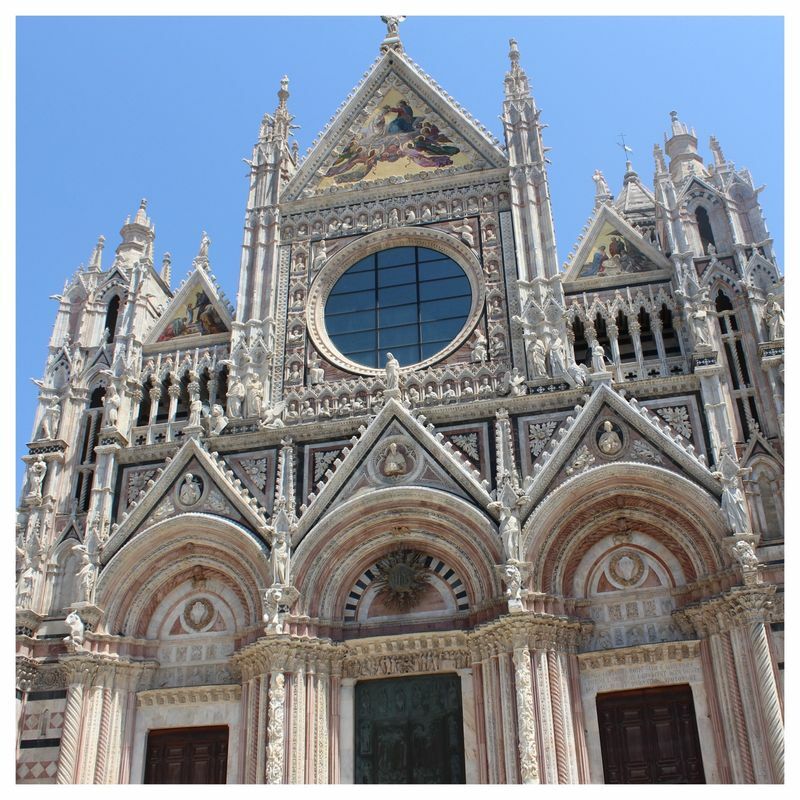 It is definitely somethingI will remember, and will recommend to people considering a trip to Siena or Tuscany. After the duomo, we found a local restaurant and sat down ahead of a tour bus… lucky for us, because there were only two guys working! We luckily got our food quickly, and departed before the chaos of the 100 or so tour bus people who ordered individually off the menu. It was great food, and I had a chance to try my first Chianti Classico wine…. a great lead in to our next planned stop - a Chianti vineyard near Siena! 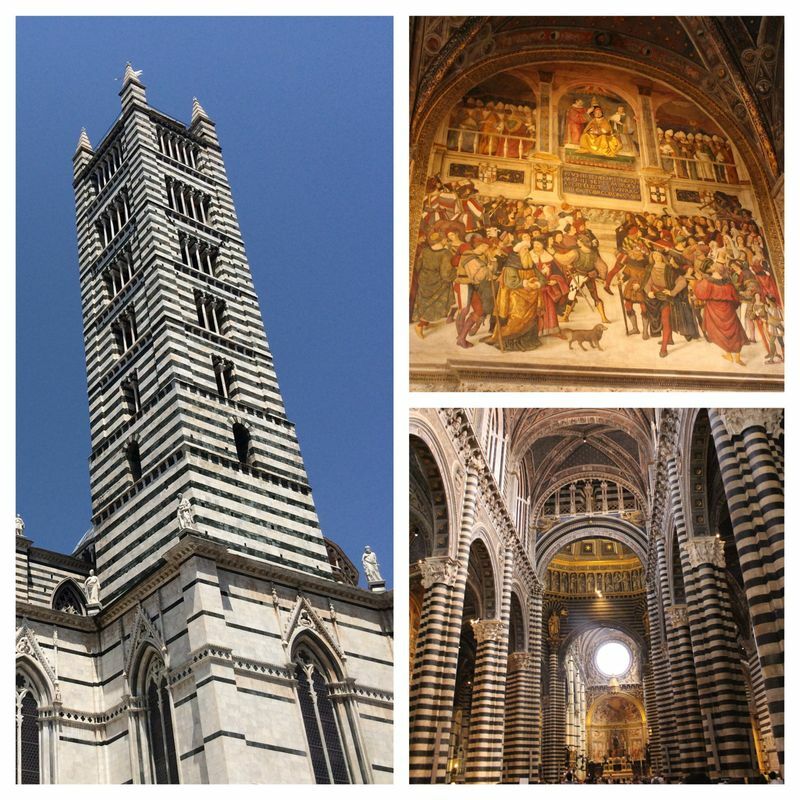 Siena was awesome, and is in the top 10 of my favorite European cities. We will be back!